I know I had previously wished for winter's early demise, but 24C in March is unsettling. I tried to take advantage though—I went for my first run of the season yesterday(! ), turned soil and de-pooped my garden, and planted a few flats of seeds. Hopefully my garden will be more successful than last year...chicken wire is definitely going up before my dogs have a chance to pee my plants to death. I'm still working on a raw change-over of certain dietary staples. 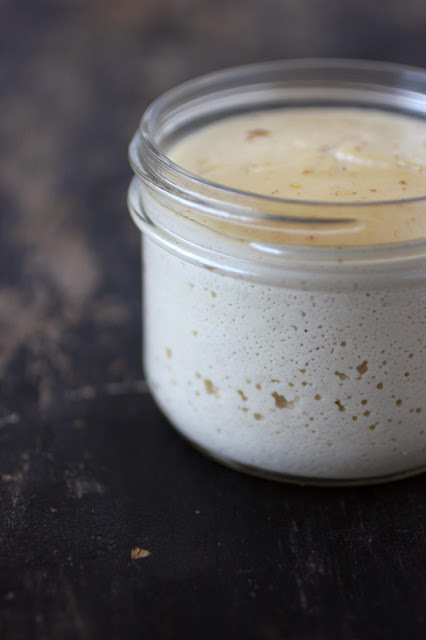 Yogurt seemed like the logical next step, after milk, so, a few weeks ago, I made my first batch of cashew yogurt. It was awful...rawful. It tasted like cardboard. I almost gave up on the idea after that one batch. Fortunately, I tried again and realized my mistake—I soaked the cashews for hours before blending, thinking it would soften them and make the yogurt smoother. It might have done that, but the water also apparently leached out all of the cashew's flavour. 1. 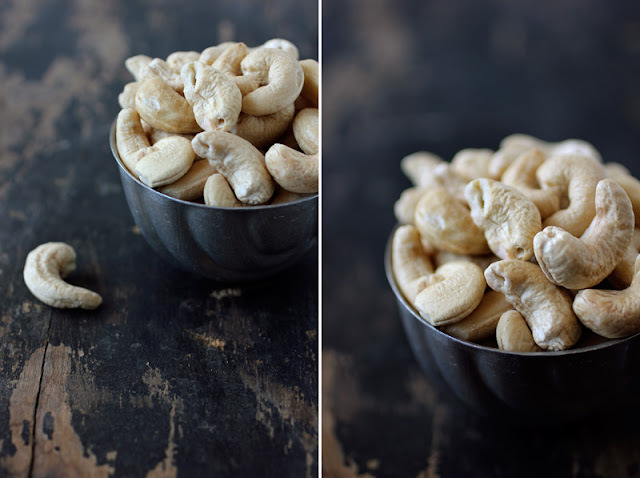 In a blender, crush cashews to a fine powder. 2. Slowly add water, scraping down sides if needed, until you reach a consistency of a heavy cream. Keep blending until the mixture is absolutely smooth. 3. Poor into a glass container (I use two 1 cup mason jars), cover (I use a jelly a bag) and place in a warm area, between 90-100F. There never seems to be room in my dehydrator, so I usually just place my yogurt on top while the dehydrator is running at 115F. 4. Fermentation can take anywhere from 6-24 hours, depending on temperature. It's done when it has a pleasant sour smell, small bubbles are visible and the whey has separated at the bottom (the last one is not always so obvious). I usually ferment mine at least 15 hours. 5. Store in refrigerator. 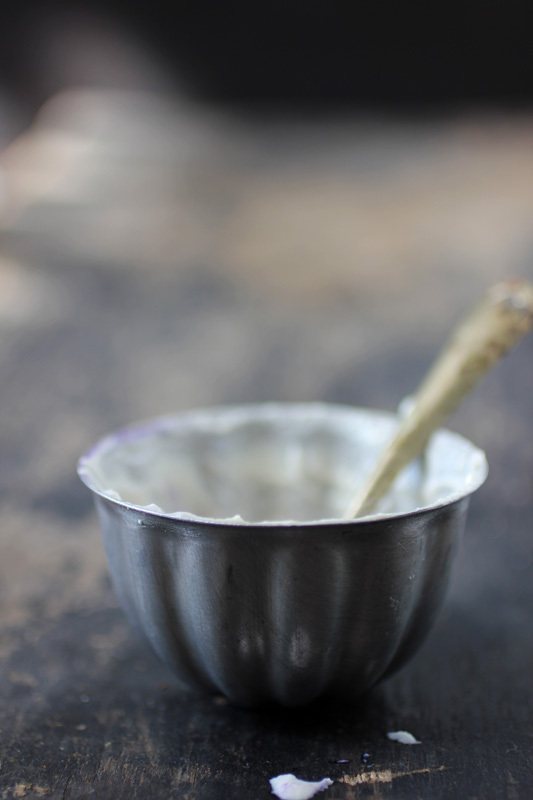 Stir whey back into yogurt before serving. Yummy! Must try this. I've had coconut yogurt and it's DELICIOUS (with berries of course). I make dairy yogurt all the time. Even though I'm not averse to dairy, I am quite fascinated by the possibilities of cashew yogurt! One of these days, I'm going to have to give it a try! I love my nut butters, so I imagine I'd really enjoy the flavor of this. Sounds intriguing! 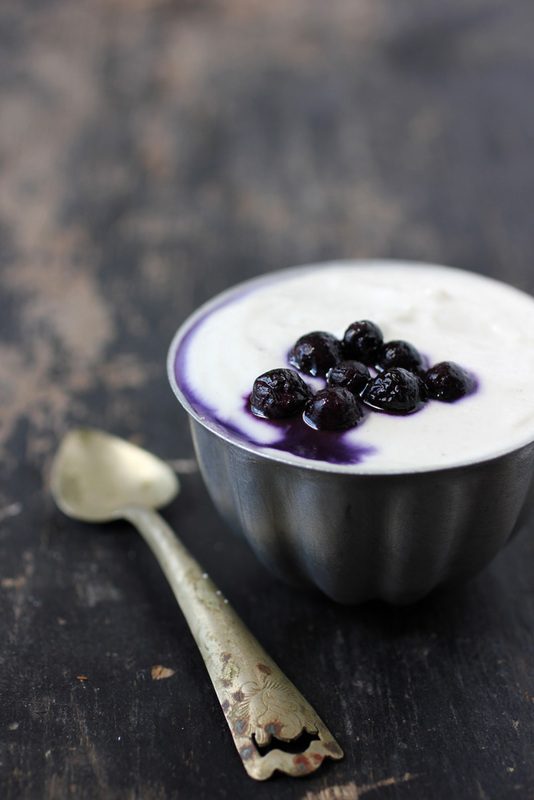 I have been looking for a vegan alternative to yogurt for a lot of recipes, so I'll try this! 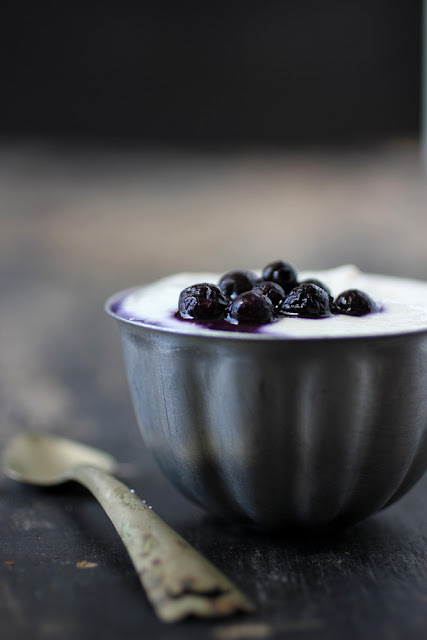 love the pictures and the yogurt sounds easy and fabulous! Blueberries look so nice, photographed! you don't need a starter culture? It will ferment all on it's own? Ya! You can save a little from your previous batch to use in the next one—for flavour and time saving purposes—but it'll ferment just fine on its own. I made this and left it sit overnight. It definitely fermented as I saw the bubbles and when I tasted it there was a slight tang. Amazing recipe.